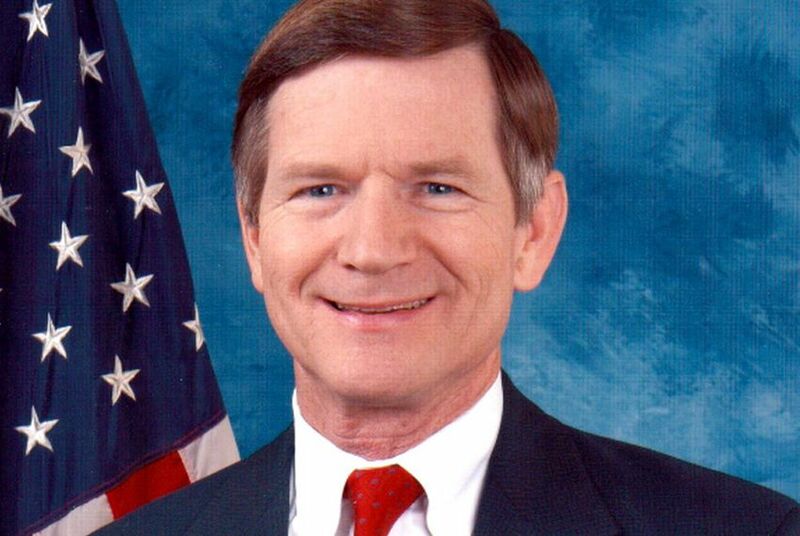 Congressman Lamar Smith, R-San Antonio. Invited witnesses, including the head of an industry group, “will discuss how EPA can pursue environmental protection and protect public health by relying on sound science,” according to a charter for Tuesday’s hearing of the House Committee on Science, Space and Technology. The hearing, titled “Make EPA Great Again,” will be the first time the committee has met since Trump took office and the 115th Congress convened. The committee's chairman, San Antonio Republican Lamar Smith, has been an especially vocal skeptic about widely accepted science on climate change. In a 2015 op-ed in the Wall Street Journal, he described global temperature increases over the past 15 years as “negligible” and said links between climate change and worsening weather events had been debunked. The 16-term congressman also has actively intervened on behalf of ExxonMobil amid high-profile investigations into what the oil giant knew about climate change and when. He convened a congressional hearing on the matter and demanded documents from the state attorneys general that would reveal the inner workings of their investigations. Smith's office did not make him available for an interview. In 2015, a group of Austin environmental activists presented Smith an award, in absentia, from “Flat Earth Foundation of Texas” to protest his efforts. Those efforts certainly weren’t aided under the Obama administration, which made fighting climate change one of its top priorities. Trump, on the other hand, has repeatedly called climate change a “hoax” and nominated climate skeptics to head several major federal agencies, including the EPA (Oklahoma Attorney General Scott Pruitt, whom the Senate confirmed Thursday) and the Department of Energy (Former Texas Gov. Rick Perry). Various reports also indicate the administration is considering drastic cuts to the EPA budget. Smith was the first member of Congress to donate to Trump in last year's presidential campaign and has made it clear he views the new administration as an ally in his efforts. “With this new administration, the Science Committee has an enhanced opportunity to create and implement policies that inspire innovation, generate jobs, and keep America competitive,” Smith said in a statement announcing committee appointments for the 115th session of Congress. "Emphasizing sound science at EPA" is Smith's No. 1 priority for the committee, according to a news release. As part of that, he plans to "revisit" bills he filed during the previous congressional session, which ended in early January, that "further highlight the (EPA's) need to use sound science and transparent data to justify its rules and regulations." That legislation includes the Science Advisory Board Reform Act and the Secret Science Reform Act, which passed the U.S. House but not the Senate. "EPA has long been on a path of regulatory overreach, and the committee will use the tools necessary to put EPA back on track," the release said, noting the panel also will examine the "Social Cost of Carbon," a measure EPA has used to calculate the climate impacts of various environmental regulations. It "has been previously used by the federal government to push a costly climate agenda with little transparency or accessibility by the American public," the release said. Amid news that Trump nominated Exxon Mobil CEO Rex Tillerson to be the country's next secretary of state, a refresher on the oil giant's efforts to thwart Democratic-led probes into what it knew about climate change and when. Texas Attorney General Ken Paxton is trying to intervene in an effort to thwart an investigation into whether Exxon Mobil misled investors about the risks of climate change. Here’s a guide to Paxton’s effort and how it fits into the much broader climate change battle in the United States. Disclosure: ExxonMobil has been a financial supporter of The Texas Tribune. A complete list of Tribune donors and sponsors can be viewed here.